Many state officials have tried to appoint and promote as many people as possible just before their retirement no matter if the position is full or not. The appointment of acquaintances before retirement is nothing new. Nguyen Thanh Rum, former director of HCM City Department of Culture, Sports and Tourism appointed nearly 30 people before he retired. Former heads of the Government Inspectorate Tran Van Truyen and Huynh Phong Tranh were also able to appoint dozens of their subordinates. Various reasons have been offered including personal issues but nothing can change the fact that the practice is condemnable. As the result, the government has to issue an official document banning such last-minute appointments. But despite the law, many are still abusing their authority. 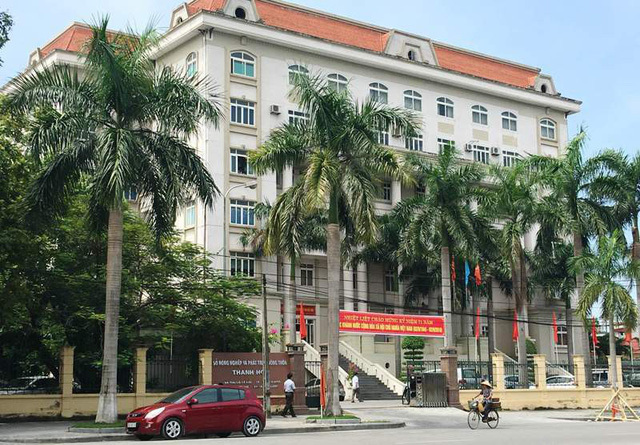 Director of Thanh Hoa Province Department of Agriculture and Rural Development Le Nhu Tuan recently defied the regulations to appoint 23 people. A week before his retirement, he continued promoting six subordinates. Tuan also stands out among other officials since he once had a football team of up to 11 vice directors. When being asked why he had so many vice directors when the regulations state that the maximum number is only 3, Tuan said because Thanh Hoa was double or three times larger than other cities and provinces. By that logic, Thanh Hoa needs three party secretaries, three chairmen and each department needs three directors. With so many leaders, Thanh Hoa's growth rate should be significantly higher than other places. If it ever comes true then Thanh Hoa can have two football team of 22 vice directors. Under so many directives, Thanh Hoa should be a leader in agricultural development, meeting domestic and export demand. Its forestation should have been strong and no forest should be closed because of rampant illegal logging. No-one should have been worried about drought or saltwater intrusion or more and more taxes for hundreds of officials in the system. Too many officials will ruin society. Eight officials with eight public cars and villas may devise a series of taxes and fees. All appointments and promotions in Thanh Hoa while Tuan was in office must be reviewed. Strict punishments must be delivered to violators including the retired director Le Nhu Tuan. As the anti-corruption fight in Vietnam is in high spirits, last-minute appointments and promotions must be stopped.